Michaels says she appreciates being able to bring her daughter on tour -- though doing so requires "a lot more luggage," she adds. Like most expectant parents, Sydnee Michaels was overcome with emotions, questions and fears when she found out she was pregnant. But one thing she wasn't worried about? Having proper childcare once she returned to work. The 30-year-old has been playing on the LPGA Tour since 2012 and became pregnant during the 2017 season. She gave birth to her daughter Isla in November and returned to the tour in March of this year. 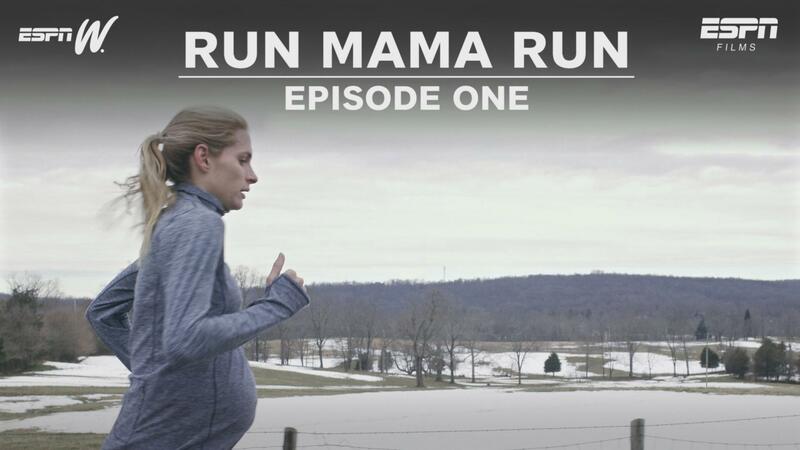 While many athletes might harbor concern about balancing impending motherhood with a demanding physical career, Michaels knew she had the built-in support of her association behind her. 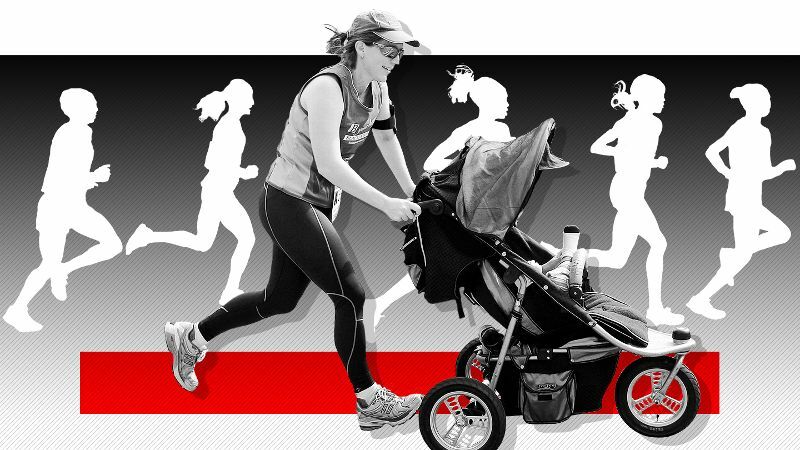 "When I found out I was pregnant, I wasn't like, 'Oh my god, what am I going to do?' or 'Guess I have to stop playing now to raise a family,'" she recalls. "I was immediately able to say, 'I can make this work and try to do both the best that I can.' I've seen other moms on tour do it and excel, so I knew it wasn't a death sentence for my career. "It takes a little more effort and dedication, and a lot more luggage, but it's more than possible," Michaels says. "Knowing that my child would be well taken care of every week while traveling with me was such a relief. I didn't have to ever worry about that aspect." The LPGA has offered a free child-care program for all of its players and staff members since 1993. The association previously had occasional day care services, run by local volunteers offered at various tournaments, but due to the overwhelming popularity with the mothers on tour, they decided to make it a permanent fixture. Traveling from tournament to tournament across North America, two full-time employees and a slew of volunteers provide hugs, snuggles, field trips and educational activities. The LPGA was the first sports league to offer such a program and remains one of the few to do so, despite the number of high-profile female athletes becoming parents while competing. Neither the WNBA nor the NWSL offer league-wide childcare, in part because players are never all in the same place at one time, but some individual teams do provide day care. The WTA, similar to the LPGA in many ways because of its traveling tournament structure, offers childcare at the four Grand Slam events, but not during the rest of its season -- unlike, ironically, the ATP, which offers it throughout the year. 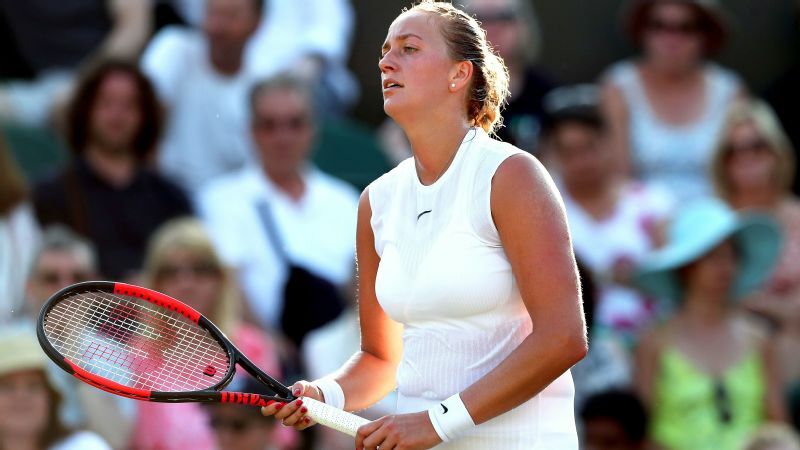 Players like Serena Williams and Victoria Azarenka have recently spoken out on the topic, but things have yet to change. 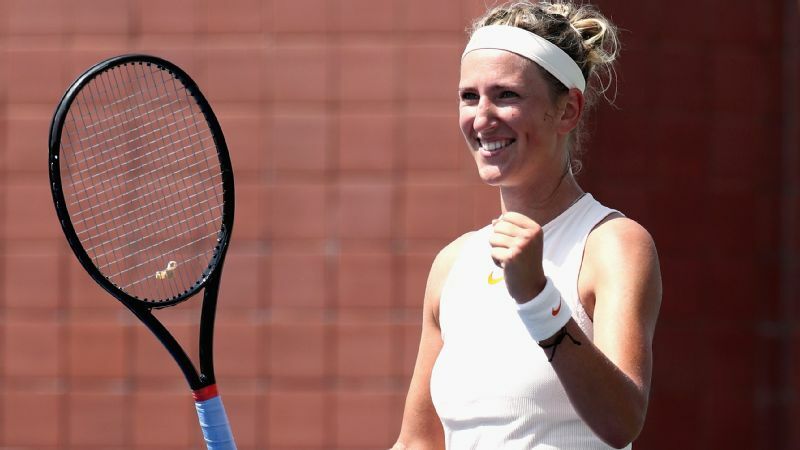 "It's really important to build these nurseries, because we have the resources for it," Azarenka told "Good Morning America." "Maybe there wasn't so much a need for them as there is now. I think the tendency will be to bring even more children on tour." Michaels has played in 12 of the 23 tournaments this season, through the Indy Women in Tech Championship, and has made the cut three times. 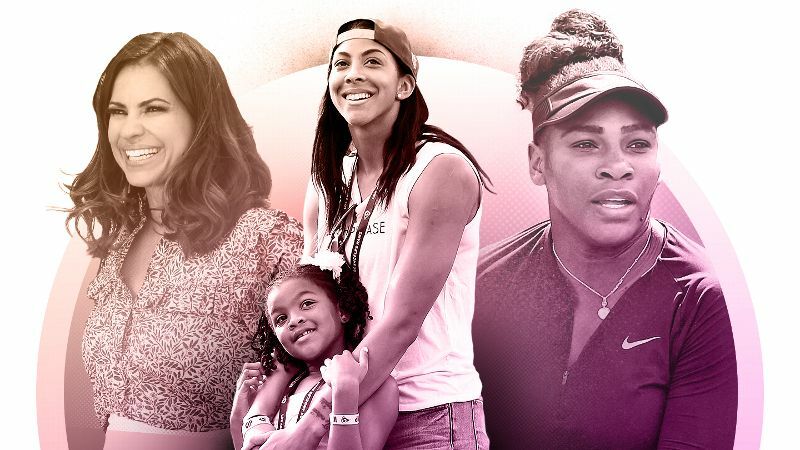 A confidential survey by espnW of 37 women who reached or returned to professional competition after having children was conducted. When asked about childcare, only seven said they have league or team-provided care, and about 75 percent of those surveyed said they rely on more than one form of childcare, including family, sitters or bringing their children along to practice or the gym. The LPGA's program has been sponsored by Smucker's since its inception, and is managed by Bright Horizons Child Care. A truck treks from city to city, across state lines and occasionally country borders, between hotel conference rooms, schools, church basements, city halls -- anywhere with space, really -- and carries all the supplies and toys that make the program a familiar space for kids in a unfamiliar place. While the physical location changes weekly and the armed police officers outside the doors don't exactly make it look like a typical day care experience, it's home for the 19 children who are signed up for this season. Two-time major champion Cristie Kerr, who has a 4-year-old son who frequently travels with her, calls it a "life saver." "I wouldn't be able to do this without the day care," Kerr says. "And they not only give you the time to play, but also the time to practice and rehab, and anything else that we need. My son loves it. He has so many friends there and he asks to go to all the time, even when there isn't a tournament." Director Bardine May has been with the program since 2003 and has worked with 90 children from 16 different countries over the years. She and an assistant director offer a slew of activities for the children, who range in age from six weeks to 12 years old, and even helped homeschool Karine Icher's 7-year-old daughter during the school year. (Most of the school-age children don't travel during the academic year and are in the program mostly during the summer months.) With tee times scheduled throughout the day, the childcare program often opens its doors as early as 5 a.m. and can be open until 9 p.m. It makes for long days, with few days off during the peak of the North American portion of the schedule, but May insists it's all worth it. "It's rewarding to pretty much raise these kids from birth to 6. Well, and beyond, because they keep coming back for summers -- even our teenagers come back and hang out with us," May says. "I love being able to play a part in allowing these moms to have their careers and their families and not having to choose between the two. And it's also allowing their children to have these wonderful experiences." And the program has certainly yielded successful results on the course as well: Kerr has won five tournaments since becoming a parent, Catriona Matthew has won twice (including the British Open just 11 weeks after giving birth to her second child) and Juli Inkster, one of the most revered players in tour history, won 16 times -- including four major titles -- after giving birth to her second child in 1994. "I think finding that balance is the hardest part for any working mom, and coming to understand that the kids are fine when you're not there," Michaels, right, says. According to May, she has had to call parents only twice for emergency medical situations in her 15 years on the job. She can remember only one incident where the police on site needed to be involved, and even that -- on which she declined to give details -- was resolved quickly and without incident, she said. However, the staff is cautious of overzealous fans -- hence the armed police officers standing outside the doors -- and doesn't share the weekly locations with the public. But even the presence of officers is apparently normal to the children at this point. "Even though they're armed, our kids consider them like family, because year after year, we have the same ones working with us in each place," May says. In her first years in the role, there were 27 children on any given day. 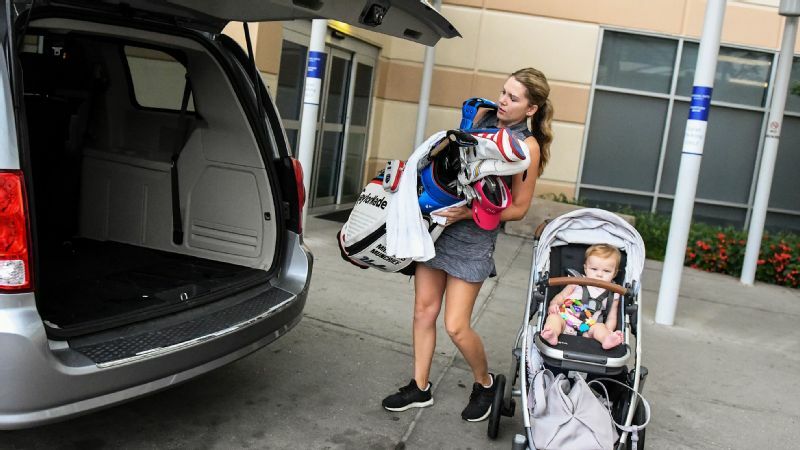 The number has been dwindling since, and several players -- most notably Annika Sorenstam and Lorena Ochoa -- made the choice to retire before starting a family. However, with the LPGA currently experiencing a baby boom of sorts, the league is adding a third full-time staffer to the team. Two-time major champions Stacy Lewis and Suzann Pettersen are both currently expecting, and Gerina Piller and Brooke Pancake both recently gave birth and expect to return to the tour next season. Other players have hinted they are considering starting a family and are closely watching to see how the new moms do. May jokes she always knows who is hoping to have a child soon because they tend to start being extra friendly to her when they see her around. Heather Daly-Donofrio, a former player and now the LPGA's chief communications and tour operations officer, had her daughter Hannah, now 12, during her golf career. She still attends the program occasionally during her summer vacation. Daly-Donofrio knows just how vital it can be. "We're so happy about this current baby boom," she said. "I think we're going to have six or seven infants next year in the program, which is going to be a lot of fun, and I'm excited for the new moms too. ... We [at the LPGA] want to provide opportunities for our players to pursue their dreams through the game of golf, and if having a family is part of that pursuit, we want to ensure that we have programming in place to help them achieve that." While the childcare program is a cherished benefit during the tournaments in North America (including stops in the Bahamas and Hawaii), it's not offered during the rest of the overseas portion of the schedule. As the tour now includes more stops in Europe and Asia than ever before -- including 12 events during the 2018 season -- that has become an increasing problem for some players. For Michaels, it has meant being forced to skip the overseas tournaments this season. With her husband in a full-time job, and unable to afford a traveling nanny, and unwilling to leave her young daughter at this point, Michaels is hopeful the program will soon include such tournaments. She has played in 12 of the 23 tournaments this season (through the IndyWomen in Tech Championship), and has made the cut three times. Because a player doesn't get paid unless they make the cut, this makes it all the more important they have the ability to play in as many events as possible. "When I played, we only went out of the country four or five times, but now we go to 14 different countries," Daly-Donofrio says. "Especially given the number of new children, we'll certainly be talking with our new moms about what their needs are when they go overseas. It's something that is top of mind for us and something that we would hope to expand in the future." Knowing what her peers in other sports have to deal with in terms of child care, or lack thereof, Michaels feels grateful for the LPGA's program, despite its limitations. "I think finding that balance is the hardest part for any working mom, and coming to understand that the kids are fine when you're not there," she says. "It's tough, but obviously my motivation for my career didn't magically go away either when I became pregnant. "I hope that we're an inspiration for women and mothers to keep pursuing their dreams. If you have the dedication and the drive to do something, then figure it out. Just do what you go to do to define yourself. I think that's the coolest part of having this program for me -- that we're able to be inspirational to somebody somewhere."